Johnson Fork North to SR 252, L (west) on SR 252 to property on left. Sign on. 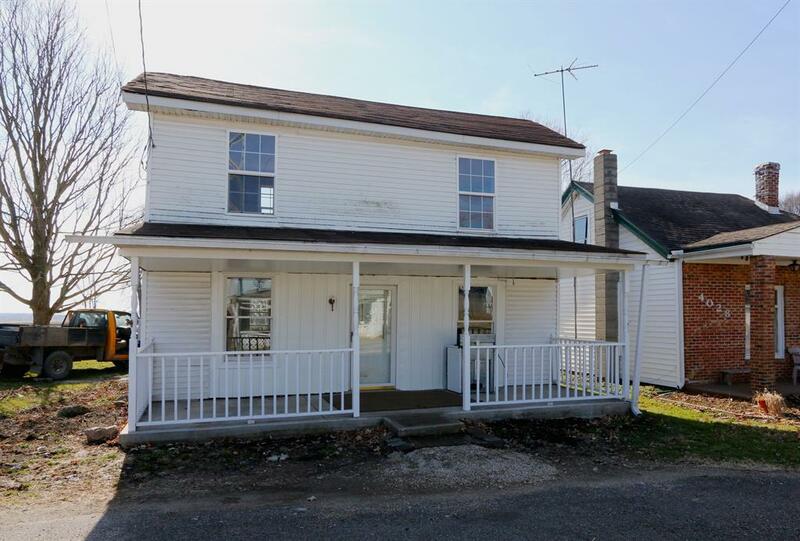 Spacious and fully renovated home in quaint little town in rural Indiana. Large lot with a mobile home with $200 income potential per month. This is a smart move! NOTE: This property was sold on 3/22/2018 and is no longer available. The details listed below are believed accurate to the date of the sale and are subject to change. Meandering along St. Rt. 252 through the rich flat tableland of eastern Franklin County, you come around a bend and discover Mount Carmel. You’ll see fine old brick farm houses built in the days and the architectural style of the early republic or federal style of building. Founded in 1832 and named for the Mount Carmel Presbyterian Church, it was the site of numerous factories including the famed Reed Factory used for looms for the wool and cotton mills throughout the area. Mount Carmel was the area’s hub with two general stores, two blacksmith shops, a butcher shop, and a harness shop. The first Women’s Club and the oldest literary club in the county, the M. Louisa Chitwood Club was renamed to honor the memory of the local poetess, known for her prolific four editions of her poems. Today Mount Carmel is primarily a farming and residential community. 40 miles northwest of Cincinnati, Mount Carmel is just 15 minutes off of Interstate 74. Mount Carmel straddles St. Rt. 252. Mount Carmel boasts the only airplane landing strip in Franklin County. Both the Hamilton Airport and Greater Cincinnati International Airport are within a 30-minute drive. The nearest shopping areas are minutes away either in Brookville to the west, or east to Lawrenceburg and West Harrison. Life moves at a slower pace in Mount Carmel providing plenty of time for recreation. Lush country gardens abound. Outdoor pursuits like hunting and fishing provide opportunities for recreation along the many creeks in the area. Brookville Lake is the center of water sports, offering water recreation options including fishing, skiing, boating, swimming, canoeing, and more. The rushing White Water River provides slower paced water sport recreation, popular for canoeing and fishing. This listing courtesy of, White's Realty 513-367-1900.